Boys ranches in Lebanon, Tennessee that can help turn around a troubled boy with counseling and mentoring -- Lebanon, TN boys ranches. – boarding schools with therapy and boarding schools. 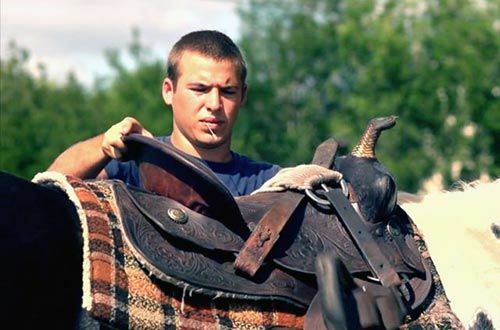 Even as you look for boys ranches in Lebanon, Tennessee, would you take a minute to look at a therapeutic ranch in Florida that offers incredible results? After all, not all boys ranches are alike nor offer professional therapy. While not in Lebanon, TN, Treasure Coast Boys Academy, located near Vero Beach, Florida, is a boys ranch created for at-risk boys. Treasure Coast Boys Academy shows boys the right way to live through example, lessons, counsel, mentoring and team exercises. Also, by avoiding distractions and getting away from problematic situations, it helps to begin the process of break destructive patterns of behavior. Unlike boys homes and ranches you may find near Lebanon, TN, Treasure Coast Boys Academy believes that improving relationships with both God and man are the first step for a long-term change in a boy’s behavior. Troubled boys enroll in Treasure Coast Boys Academy from around the country, including from Lebanon, Tennessee, both to let them experience a new environment and to experience the loving and fun environment they find here. Enrollment is year-round. If you are looking for boys ranches in or near Lebanon, Tennessee since you would like your son to choose a different path in life, consider that Treasure Coast Boys Academy might be exactly what you need. In our program, boys remain physically and mentally active and challenged throughout their stay. Our recreational and sports facilities include a well-equipped gym and a professional array of weight machines, soccer field, baseball diamond, basketball court, pool, game room, fishing ponds, and horses. We often go fishing on the Florida waterways and out in the ocean. The culmination of the program is an incredible wilderness experience in the mountains of North Carolina during the last month of the boys’ time at the ranch. Whitewater rafting, hiking, camping, and other adventures show that life can be both adventuresome and positive. Counseling is offered frequently during the day, in all settings, through conversations with mentors during chores or activities. We place great importance on mentorship, providing the boys with positive male role models during their time with us. Our on-campus academy operates year-round to give boys the opportunity to take care of missed credits. We have on-campus teachers who support the boy’s education and tutor individual students. Boys from Lebanon, Tennessee quickly catch up on missed coursework or work ahead. To hear more of what parents and students are saying, and to discover more about how our boys ranch can bring restoration in your family in Lebanon, Tennessee, we invite you to investigate our website, then use our inquiry form or call us today. Lebanon is a city in Wilson County, Tennessee, in the United States. The population was 20,235 at the 2000 census. It serves as the county seat of Wilson CountyGR. Lebanon is located in middle Tennessee, approximately 25 miles east of downtown Nashville. Local residents have also called it “Cedar-City”, mostly a reference to the abundance of cedar trees in the area. Lebanon is part of the Nashville Metropolitan Statistical Area. Lebanon is home to Cumberland University, a small, private, 4-year liberal arts institution. Excerpt about boys ranches in Lebanon, Tennessee, used with permission from Wikipedia. Thank you for thinking about Treasure Coast Boys Academy as you seek out boys ranches near Lebanon, TN. Should you need help finding boarding schools or teenage boarding schools or boarding schools for boys or schools troubled teens, please let us know. This Teen Challenge boys ranch helps at-risk teenage boys who are exhibiting oppositional defiant disorder (ODD), attention deficit disorder (ADD), attention deficit hyperactivity disorder (ADHD), intermittent explosive disorder (IED), obsessive compulsive disorder (OCD). Boys ranches in Lebanon, Tennessee that can help turn around a troubled boy with counseling and mentoring -- Lebanon, TN boys ranches.